I still need to construct the frame (probably from scrap wood at Milwaukee Makerspace) but there is a sheet of steel about 36″ x 29″ that will be covered in flashing LEDs each powered by its own battery and attached with a binder clip and a magnet. 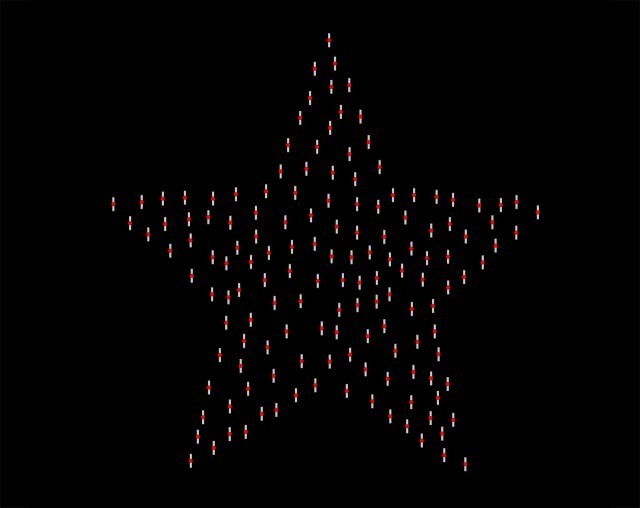 I’ve seen a single LED blink, and even a few blink at once, but this will consist of over 200 LEDs all blinking at once, and at different rates… Star-Blinken! Posted on Saturday, August 20th, 2016 at 7:33 pm. Subscribe to the comments feed. Both comments and pings are currently closed. Post on your own blog.